Joe Kerrigan picked up his ninth save of 1977 for the Expos and he made it look easy, The Montreal Gazette wrote. Kerrigan pitched the ninth, striking out two of the three batters he faced, The Gazette wrote. "That's what relief pitching is all about," Kerrigan told The Gazette. "Coming in with the game up for grabs is great." Kerrigan knew enough about relief pitching to make the majors in four separate seasons. He's since shown he's known enough about pitching to return to the majors as a coach. He's spent much of the past two decades in that role, including coaching Pedro Martinez with both the Expos and the Red Sox. He even briefly spent time as a major league manager. Kerrigan's long career in baseball began in 1974, taken by the Expos in the first round of the January draft out of Temple University. Kerrigan played his first year at single-A Kinston. He made AA Quebec in 1975 and then AAA Denver in 1976. He also made Montreal in 1976, getting into 38 games in relief. He had a 3.81 ERA and a 2-6 record. In 1977, he returned to the Expos and picked up 11 saves on the season. In 66 relief outings, he had a 3.22 ERA. Kerrigan moved to the Orioles in 1978. He got into 26 contests, starting twice with a 4.77 ERA. His final major league game came in 1980, a single outing back in Baltimore. Kerrigan's playing career then ended two years later at AAA. Kerrigan then returned to the team that originally drafted him. He also returned to the majors as Montreal's bullpen coach. He spent at least four seasons in that role. 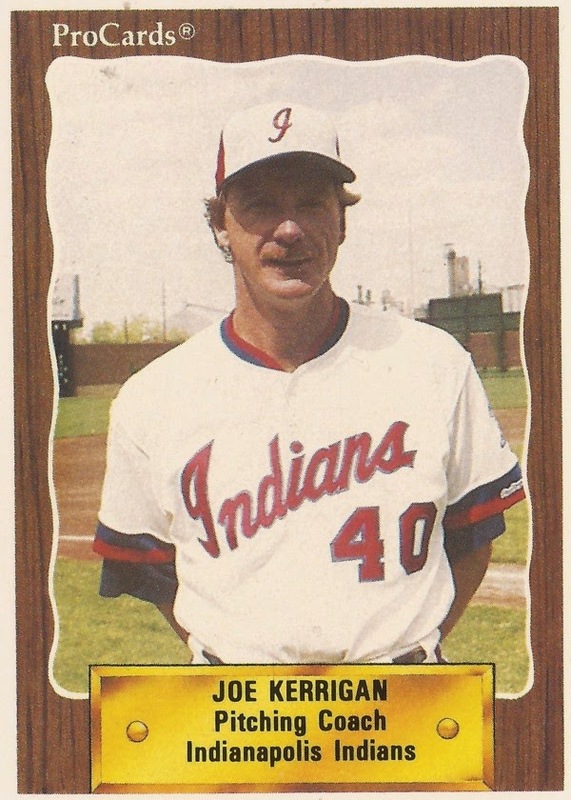 He then moved to the minors, serving as pitching coach at AAA Indianapolis starting in 1988. By 1992, Kerrigan was pitching coach in Montreal, a job he held through 1996. Kerrigan coached Martinez from 1994 to 1996, then again with the Red Sox from 1998 to 2001. "His command is so good with all three pitches, it's kind of scary," Kerrigan told Knight Ridder Newspapers in July 1999 of Martinez. "Not only does he have the power, but he can spot the fastball on the four spots - that's low and away on both sides of the plate - and he has the ability to elevate the fastball in the high chase zone on either side." In August 2001, Kerrigan took on a greater role with the team. He was named manager after the firing of Jimy Williams. He stayed as manager through the end of the season, going 17-26 down the stretch. He was then let go the next spring, the casualty of a new owner. By 2003, Kerrigan was back in the majors as pitching coach for the Phillies. In 2006, he was bullpen coach for the Yankees, in 2009 pitching coach for the Pirates. "Internal conflicts," according to TribLive.com, led to the end of his Pirates career in 2010. Out of his time with the Pirates, though, came Joel Hanrahan. Hanrahan recalled to ESPNBoston.com in 2013 how Kerrigan helped correct Hanrahan approach to pitching in 2009. Later, after Kerrigan's departure, Hanrahan saved 76 games over two seasons and made the All-Star team twice.